The goddess Neith had one of the longest spans of import in the ancient Egyptian pantheon – she was worshipped from early in the Predynastic era through to the arrival of Roman rule. She was the goddess of creation, wisdom, weaving, and war, in addition to being worshipped as a funerary goddess. Neith was said to be there at the creation of the world, and some even called her the mother of Ra, the sun god who went on to create everything else. She is also sometimes credited with being the mother of Sobek, the crocodile god. In this light, many worshipped her as the creator of birth. As the goddess of wisdom, it was said that the other deities would come to her to help settle their disputes. Neith was also associated with weaving, which, in addition to her association with war, gave her several roles in the Afterlife. She was said to shoot arrows at the enemies of the dead, in addition to dressing them with woven cloth. 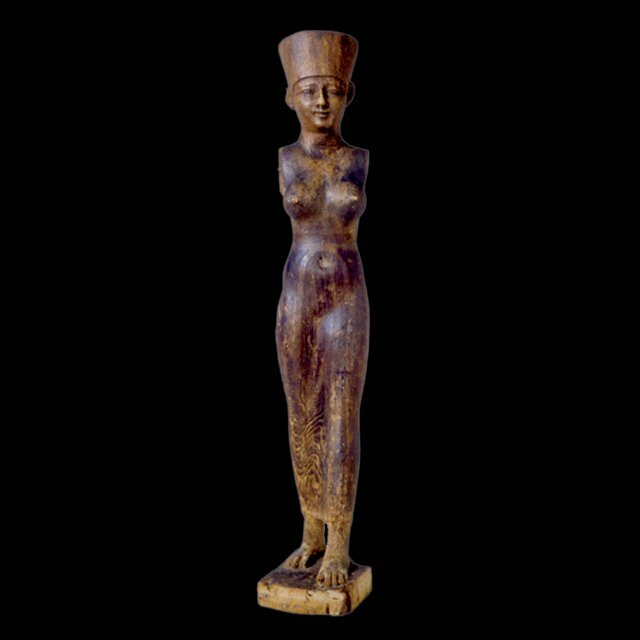 Image: RC 1806 Neith statue at the Rosicrucian Egyptian Museum.